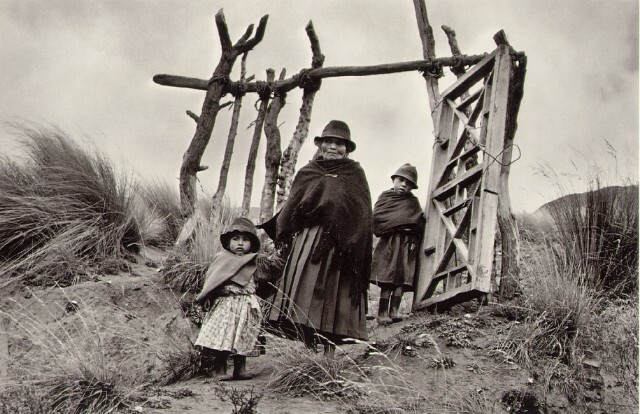 Mr. Salgado is one of the great photojournalists and social documentarians. 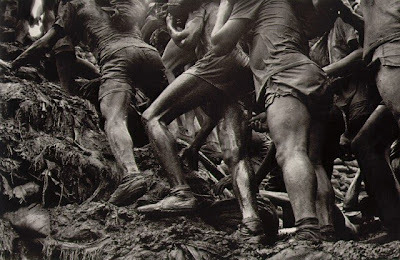 Born in Brazil in 1944, he studied economics before beginning his photography career in 1973. 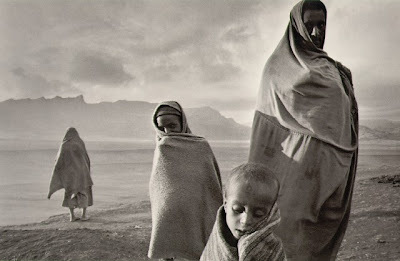 His work has taken him to over 100 countries, and in 2001 he was appointed a UNICEF Goodwill Ambassador. 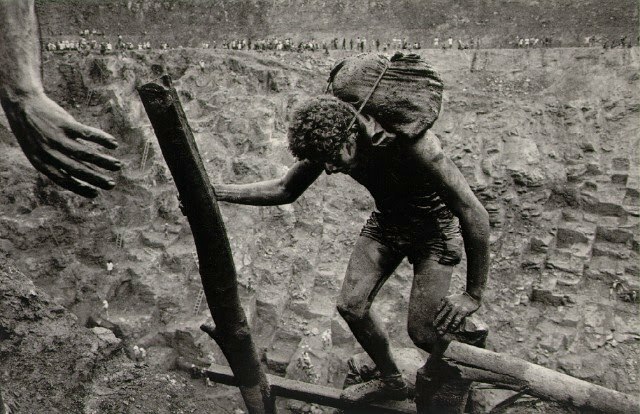 The New York Times can provide a bit more background and explain Mr. Salgado's current project. 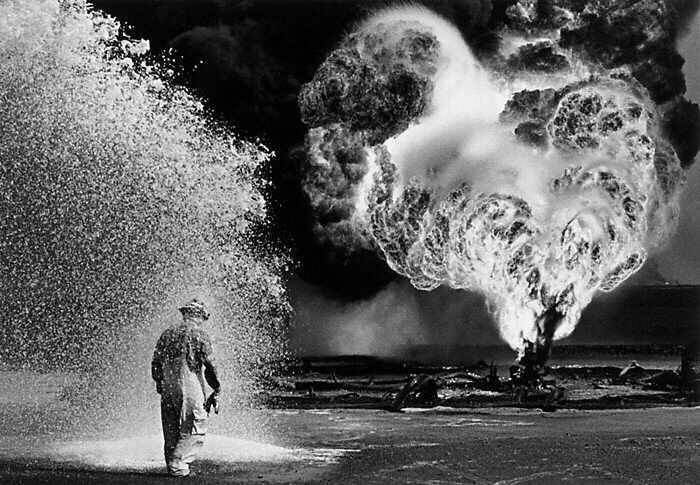 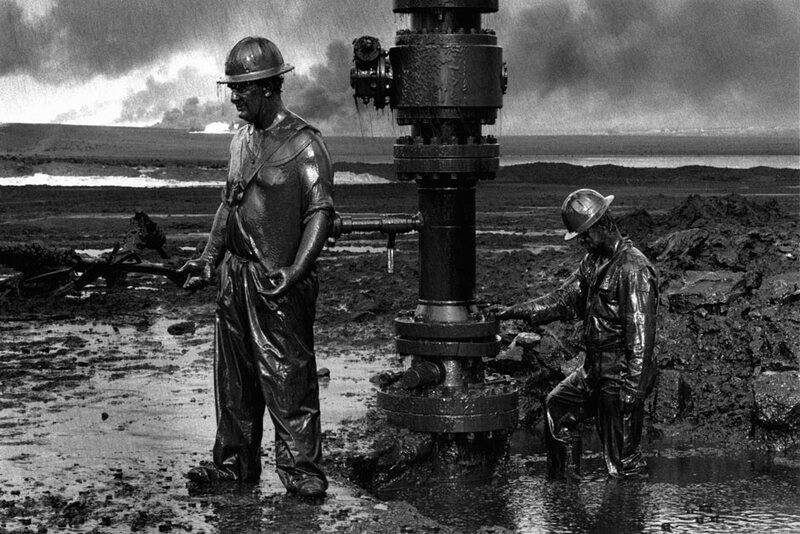 Firefighters At Work In Sabotaged Oil Fields, Kuwait, 1991. Fire At Oil Fields, Kuwait, 1991. 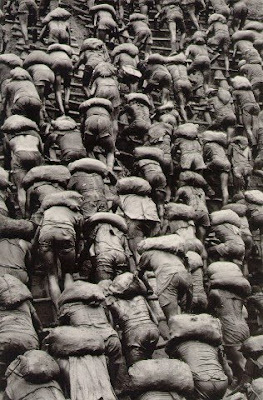 Transporting Bags of Dirt in the Serra Pelada Gold Mine, Brazil, 1986. Going Up the Serra Pelada Gold Mine, Brazil, 1986. 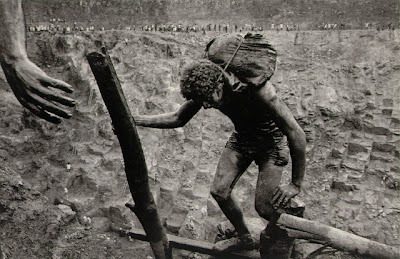 Serra Pelada Gold Mine, Brazil, 1986. 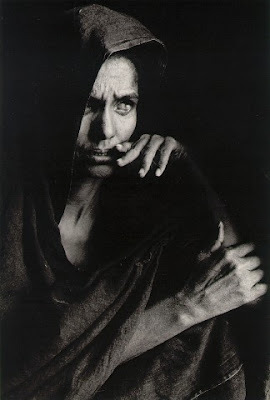 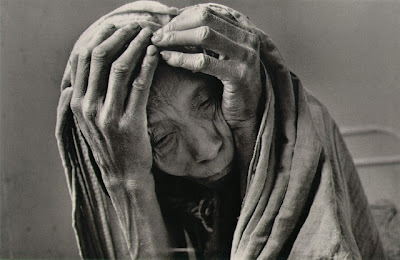 Refugee from Gondan, Mali, 1985. Refugees in the Korem Camp, Ethiopia, 1984. A Community Above Chimborazo, Ecuador, 1982.